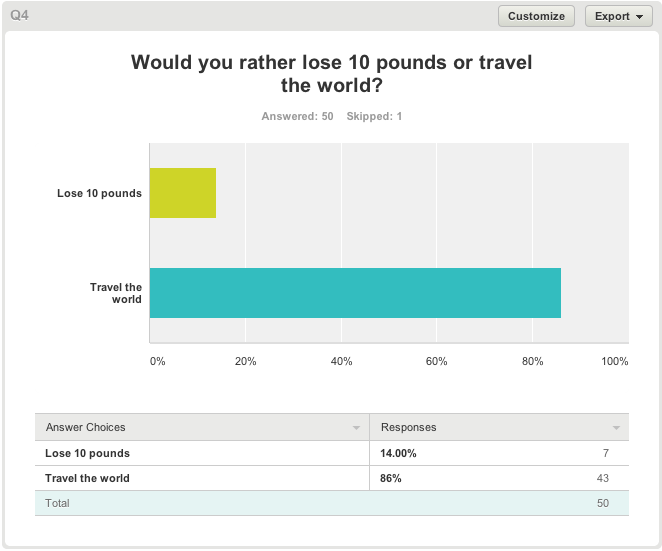 The price of 10 pounds: Would you trade it for $10? $10,000? How about true love? 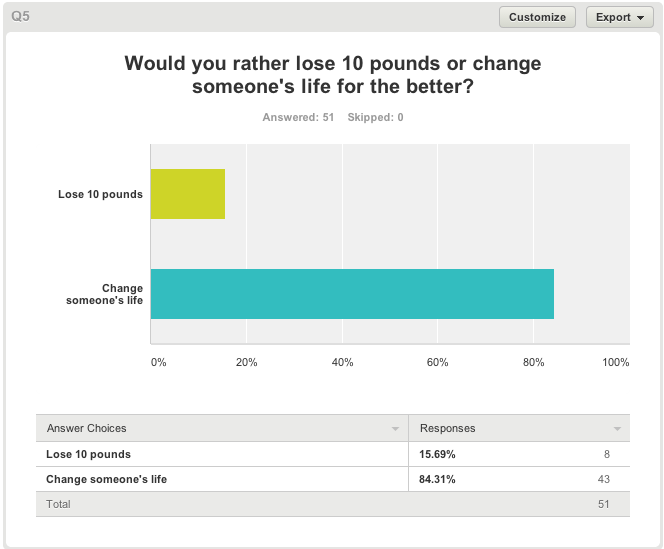 According to a recent body image survey conducted by AOL and TODAY, 61 percent of all adults would rather lose 10 pounds than receive $50. And we can't say we blame them -- feeling good about your body goes a ways longer than a small chunk of change. 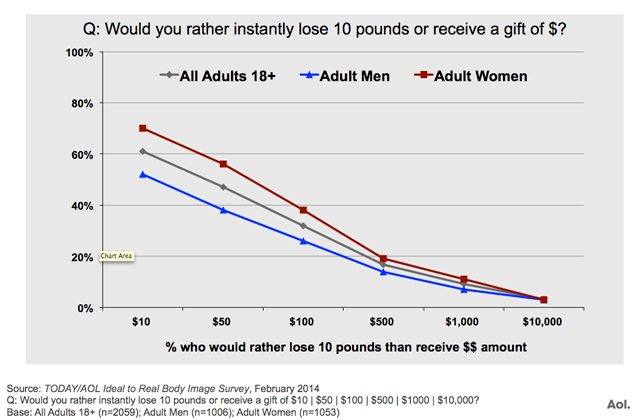 According to the same results, 17 percent of all adults would choose the weight loss over $500 and 3 percent of all adults would be happier a little slimmer around the waist than even $10,000 richer. Once broken down into two groups -- adult males and adult females -- it became clear that there are many more women out there who would take the weight loss over the money -- well, at least up until the five digits. 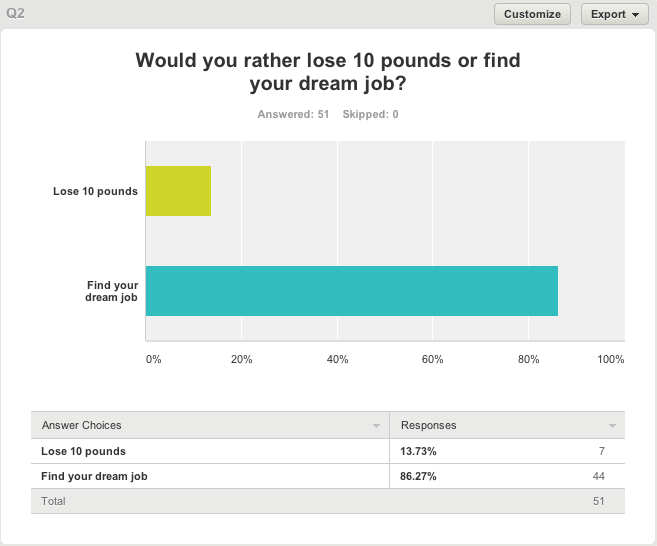 Either way, the survey got us thinking about what else people may choose weight loss over -- a dream job, a trip around the world, true love? Here's what they said. 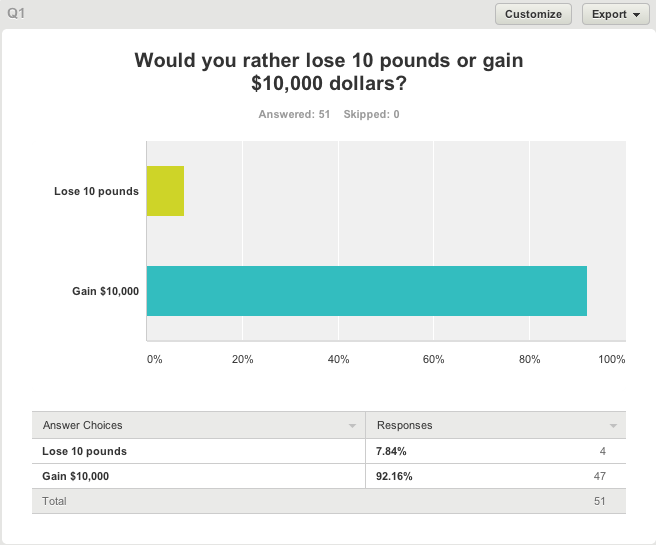 For the full methodology of the TODAY/AOL survey, head over to TODAY. For full results, head to AOL.